Ask any local what they love most about Placencia, Belize and most will wax lyrical about its charm. About its friendliness and community feel. I would say Placencia is one of the friendliest places I know. 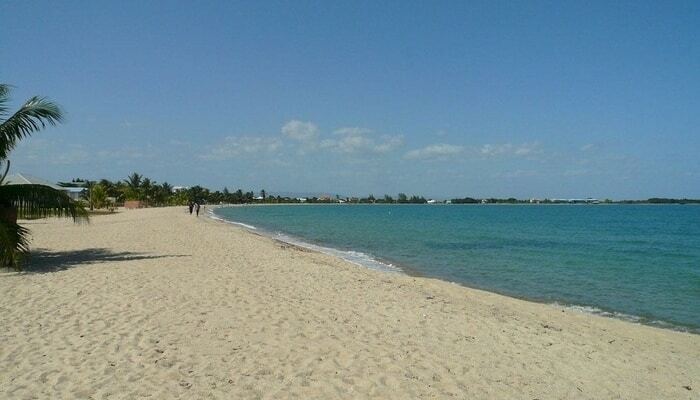 Oh – and Placencia also has some of the best white-sand beaches in Central America. 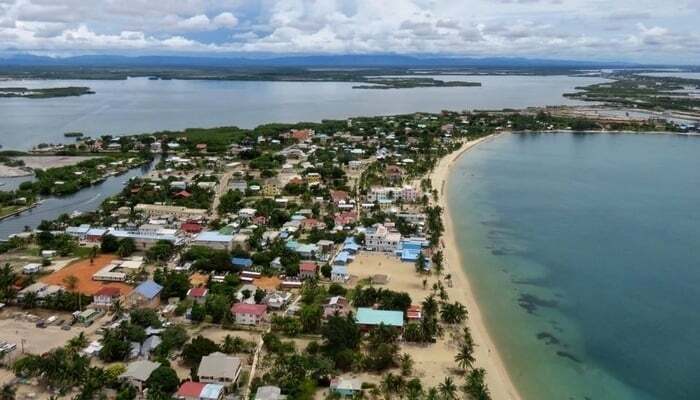 On the flip-side, ask them what they dislike most about Placencia, Belize and the road conditions and lack of parking will come up straight away. This is the major gripe of visitors to Placencia, too. Perhaps, yes, paved roads and parking lots would make life better for driving, but they would also remove the charm and the small village vibe. So life in Placencia includes living with potholes and flooded streets. Is that a bad thing? I say no, not at all. The slow pace of life should relate to driving just as much as walking, and the general attitude as a whole. It was the Mayans who lived on the Placencia Peninsula in the beginning. Then the Spanish found it in the 17th century and realized how nice it was. Nice enough to call the area “Placencia”, or “pleasant place”. After centuries in tranquil obscurity as a fishing village, travelers discovered Placencia again. When tourists discover most tropical seaside villages, the next step is usually the developers move in. In Placencia Village, this isn’t (yet) the case, at least on a large scale. Sure, there are smaller hotels and a scattering of two-level condos, but nothing major. And yes, the popularity of Placencia has prompted some larger home and condo developments, but these are outside of the village itself. Once you find a place to park and walk around, you’ll experience the friendliness of Placencia. Villagers will greet you with a happy smile. You’ll find a handful of shops with colorful woven hammocks hanging in front of them on the main drag and catch the aroma of fresh-brewed coffee coming from the local cafe. Mixed in with the smell of brewing coffee will be the mouthwatering whiff of barbecue chicken cooking on the black barrel charcoal grills so popular around here. In the center of town, you’ll find fruit and vegetable stalls selling their produce year round. The village pier is at the southernmost tip of the Placencia Peninsula. It is well-designed, with boat slips for the tour guides to pick up tourists. 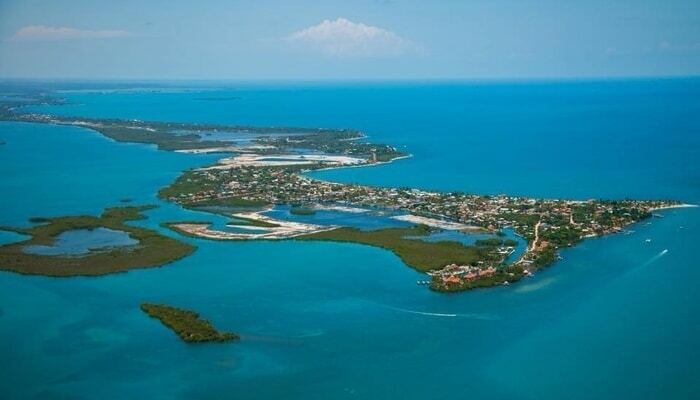 You can take half-day or full-day boat trips out to islands like Lark Key. Fishing, snorkeling, diving, and paddle-boarding are all common activities. For the less energetic, sunning yourself and relaxing in your hammock with a rum cocktail is also common. The pier is also where you meet the fishermen when they come in every afternoon. You won’t find anything fresher than the lobster and fish these guys can sell you by the pound. At the Placencia pier, a fresh-caught pound of lobster tail costs $25 BZ a pound (around $12.50 US). 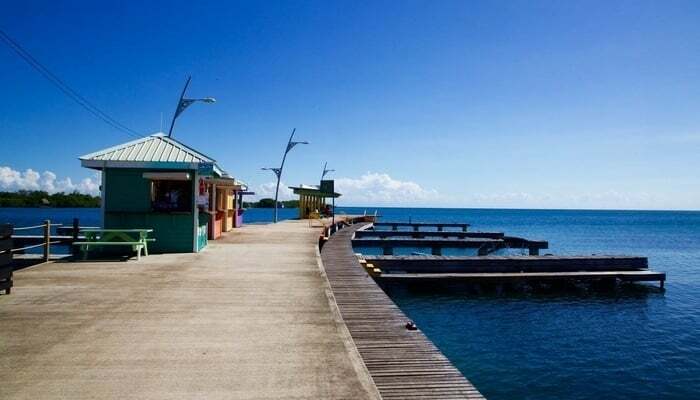 The pier marks the start of the famous Placencia Sidewalk. The Placencia Sidewalk is allegedly the narrowest street in the world with a place in the Guinness World Records. I say “allegedly” because the Guinness Records thing is more of an urban legend than fact. They actually list the narrowest street in the world as the Spreuerhofstraße in Reutlingen, Germany, fact fans. But the Placencia Sidewalk is very narrow! Back in the day, workers and merchants used the sidewalk to transport goods and supplies by wheelbarrow. 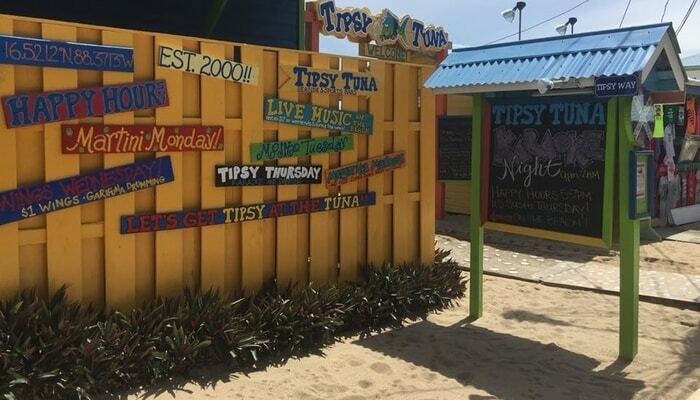 Now it’s full of visitors checking out beach bars like the Tipsy Tuna and the Barefoot. This is where the evenings come to life. Visitors and locals alike love the live music, dancing, drinking, and merriment. Every February, the Placencia Sidewalk hosts the Placencia Sidewalk Art Festival, two days of fun, sun, food, music, and great art. The festival is a great showpiece for the village. 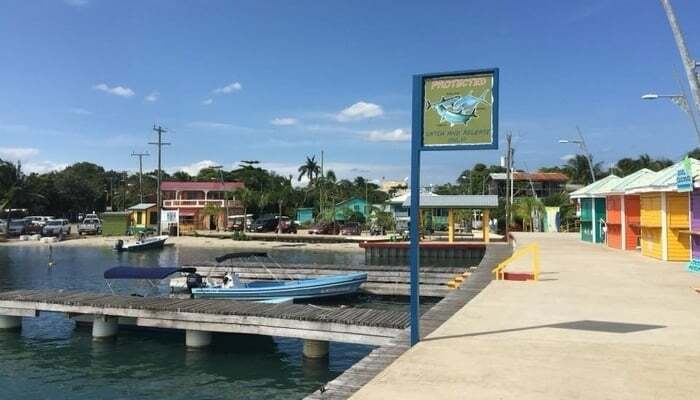 Another showpiece for Placencia is the annual Lobsterfest, held each June to celebrate the opening of the lobster fishing season in Belize. The Lobsterfest is an annual fiesta of all things lobster, with lots of music, beer, and rum. Whatever the month, you’ll always find vacationers enjoying Placencia, Belize. Many of them return year after year, and some, like me, stay forever. 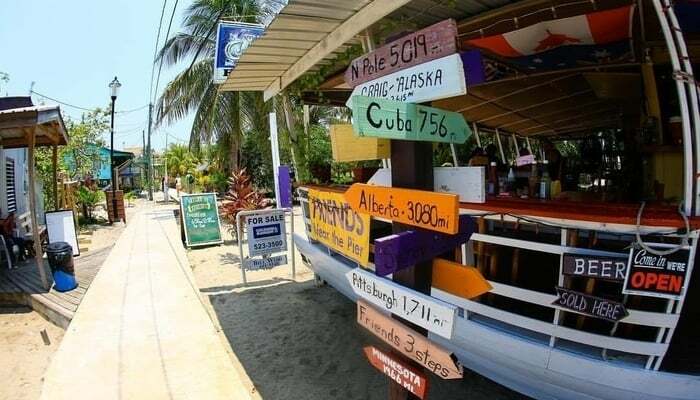 Which Beach Bar Is The Best In Placencia, Belize? What Are The Top Three Restaurants In Maya Beach, Belize? Where Are Expats Living In Belize And Why?